Belgium: where the beer flows, the architecture astounds, and the eclectic arts scene is second to none. With its beautiful architecture and majestic landmarks, Belgium is considered by many to be the historical and cultural heartbeat of Europe. Its romantic and nostalgic allure is evident in its medieval towns and vivid imagery. Populated by over 11 million people, Belgium’s famous landmarks include Rubenshuis in Antwerp, the Belfry of Brugge and Grand Place in Brussels. Take a step back in time wandering through medieval alleyways because cheap flights to Belgium are now available! The country’s hub airport is Brussels Airport (BRU), a 30-minute drive or 20-minute train commute from the city centre. Brussels Airport serves a multitude of airlines, including Lufthansa, British Airways, KLM and Swiss Air. Popular connecting flights to Brussels depart from Johannesburg, Cape Town and Durban. Flight duration from Johannesburg to Brussels is approximately 13 hours. Marvel at the well-preserved architectural gems of this country, spanning a range of influences, including Baroque, Gothic and Art Nouveau. 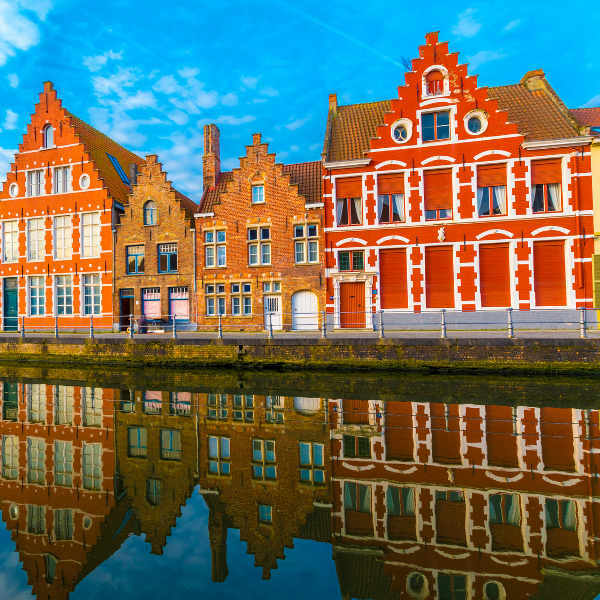 Meander through the cobbled streets of Brugge and Liege with their ornate designs and colours. The self-proclaimed ‘Capital of Europe’ is home to some of the finest museums and galleries, displaying beautiful collections and relics dating back to the Middle Ages. Exquisite landmarks include Notre Dame du Sablon and Belfry and Halle. 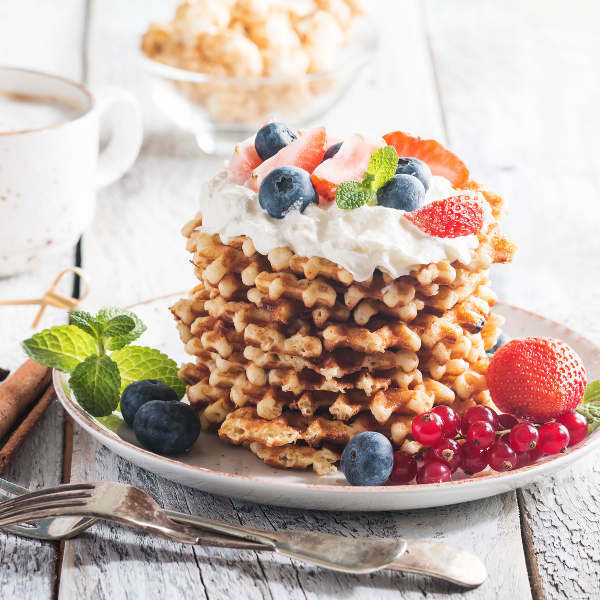 Foodies will relish Belgium’s culinary scene with its fusion of French and Flemish combinations. If the rich chocolates and decadent waffles don’t tempt you, try the freshly-prepared seafood dishes, washed down with Belgium’s finest ale. Belgium enjoys four seasons all year round. Summers (June-August) are mildly warm with low rainfall. The southern region of Wallonia experiences slightly warmer temperatures than the northern Flanders area. Be aware that July and August see a surge in tourist numbers, especially in popular cities like Brugge and Antwerp. The frosty winters (November-February) can be pretty with iced canals and festive Christmas cheer, but be sure to pack in those beanies and jackets! Be aware that attractions near the Ardennes may close down during the heavy winter rains and snowfall. For low-season rates and fewer crowds, Belgium is at its best in spring (March-May) and autumn (September-October) when the city is in full bloom with outdoor festivals and concerts. Some not-to-be-missed festivals include the Belgian Beer Festival in September, Spa Ferrari Festival in April and Bastille Day in July. Belgium is the underestimated cultural, political and historical heart of Europe. Its magnificent Renaissance architecture, coupled with delicious specialty cuisine are enough to put it on the map as a not-to-be-missed travel destination. 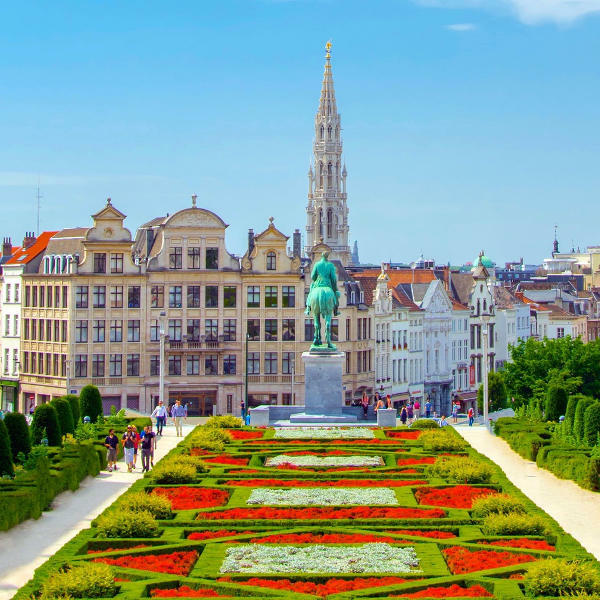 The capital city of Brussels is home to the European Union Headquarters and is the cultural heart of the country, with buildings dating back to the 13th century. Its enchanting medieval streets, quirky art cafés, museums and bustling nightlife make it a favourite among trendy travellers. Main attractions include Grand Place and the Royal Museum of Fine Arts. Antwerp is another hip hotspot, renowned for its fashion, art and sparkling diamonds. This chic city is a trendsetter, nicknamed Belgium’s ‘Capital of Cool’ with its fusion of cosmopolitan flair and antique architecture. For a slice of history, be sure to visit Rubenshuis, Cathedral of our Lady and Grote Markt. The quaint little city of Ghent is a medieval masterpiece with its picturesque castles and guild houses dotted along the Graslei quay. Foodies can tuck into some sweet treats or traditional beef stews, while the iconic museums and churches will delight history fans. The exceptional beauty of Brugge will attract you to its myriad of UNESCO landmarks, sculptures, festivals and eateries. Similarly, the rich architecture, art, street culture and nightlife of the cobblestone city of Liege make it impossible to leave. Liege is also a good starting point to explore the caves, canyons, underground rivers and rugged peaks of the Ardennes – a relaxing retreat from the city bustle. Compare several airlines, and book your cheap flights to Belgium today! South Africans travelling to Belgium need to apply for a Schengen visa. Passports may not be older than 10 years, must have 2 blank pages and be valid for at least 3 months beyond your date of departure from the Schengen state. The application process can take up to several months so start early. People residing in Cape Town and Johannesburg can apply for their visa using TLS services. Before contacting TLS you will need to complete the online visa application form on VisaOnWeb. For more information, contact the TLS contact centre @ +27 (0)21 401 7501 or visit their website. Alternatively, you can contact the embassy of Belgium (+27 021 419 4690) for more information. Belgium is a fairly safe country with no violent crime known to occur towards tourists. The locals are very friendly and welcoming. As in any country, petty crime and theft does occur, so be vigilant with your personal belongings, especially in crowded areas. Leave extra money and valuables in your hotel to be safe. Walking the streets by day is the only way to truly appreciate the cities’ attraction, as it is perfectly safe. By night, be a little more cautious and rather stick to taxi cabs or walk in a group. Travellers are not required to get any mandatory vaccinations for entry into Belgium, however it is always advisable to be up-to-date with routine immunisations. Healthcare facilities are excellent in Belgium, but can work out to be expensive. A comprehensive travel-insurance policy to cover theft and medical expenses is always recommended.